1. Partnership conference “Geophysical Observatories, Multifunctional GIS and Data Mining” (30 September – 3 October 2013, Kaluga, Russia). 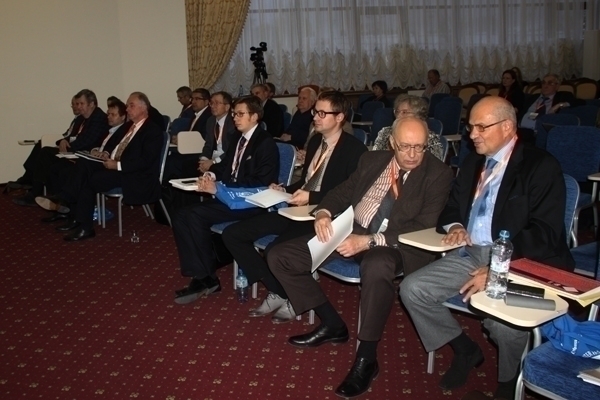 The international partnership conference “Geophysical Observatories, Multifunctional GIS and Data Mining” successfully completed its work on 3 October, 2013 in the town of Kaluga, Russia. The conference brought together more than 120 participants from 11 countries. The participation of leading scientists representing different branches of Earth sciences and specialists in development of system analysis methods proves the high importance of this event. The conference summed up the results and outlined new ways of development of projects in the field of the Earth’s magnetic field studies and practical application of results in this domain. Global modeling of the Earth’s magnetic field is one of the main domains of geophysical research. Indeed, the geopotential field, along with data obtained from analyzing seismic waves, is the most valuable source of information about the structure and composition of our planet, as well as the evolutionary processes that continue to contribute to its formation. Global models of the magnetic field, combined with time variations, provide additional information indispensable for navigation, geodesy, space physics, studies of ocean circulation and sea level changes. 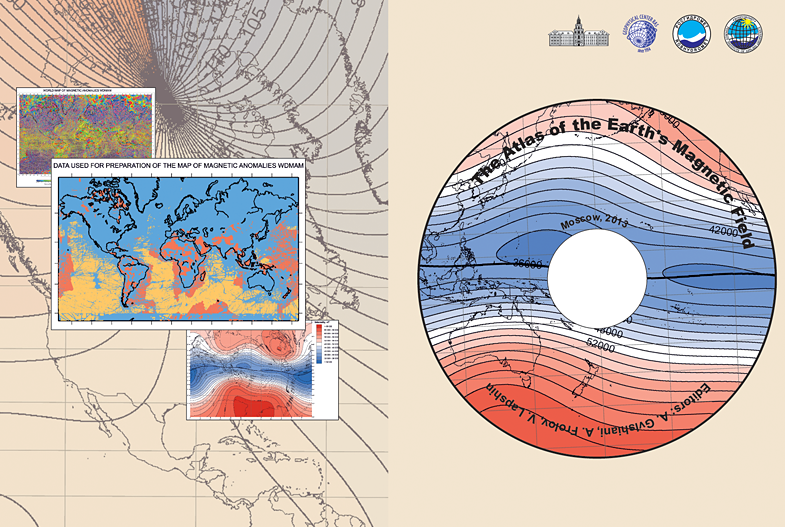 The present Atlas of the Earth’s Magnetic Field (EMF) for 1500–2010 was published in 2013 in the format of electronic edition. The authors of the project developed a new technology of digital mapping of the EMF. As a result, a series of digital charts of EMF was developed, charting the peculiar characteristics of the mapped phenomenon. Among them are the charts of the Earth’s Main Magnetic Field, magnetic lithospheric anomalies, magnetic pole movement, historical charts starting from 1603, etc.